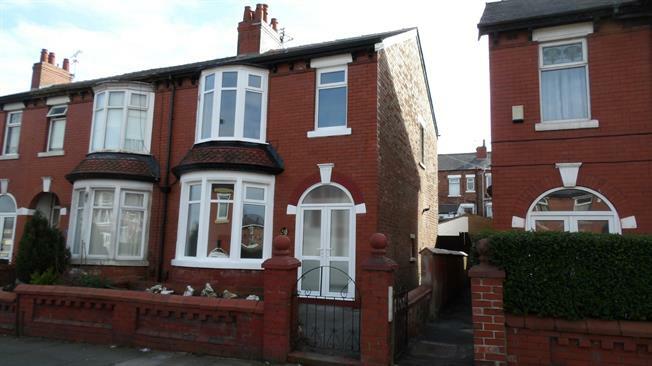 3 Bedroom End of Terrace House For Sale in Blackpool for Asking Price £120,000. We are pleased to offer this spacious property which has been renovated to a high standard. Downstairs there is a Living Room, Dining Room and fitted Kitchen and upstairs there are Three good sized bedrooms and a Fully Tiled 4 piece bathroom. Enclosed courtyard to rear with outbuildings. Double Glazed and Gas Central Heating throughout. Must be viewed to fully appreciate. No Chain Involved.